WonderRoot is poised to expand as a premier artistic haven for budding creative types. As far back as when he was a youngster attending private schools in north Atlanta and DeKalb County through earning his degree at Georgia State, Chris Appleton knew he wanted a future tied to arts and culture. But it also needed to have a key element: a link to community engagement. In 2004, Appleton’s idea took the form of WonderRoot, a Reynoldstown nonprofit that offers fledgling artists access to creative spaces. Its heart is a 4,000-square-foot bungalow on Memorial Drive that doubles as a community arts center with a recording studio, darkroom, pottery studio, digital media lab, gallery, music venue and a small library. It’s often crowded with artists working on projects or adults and kids packing in for arts classes. “We want to provide artists the opportunity to have careers in Atlanta, and we offer space and tools to do that, then connect them with audiences,” Appleton says. But he’s not just committed to inspiring and supporting artists: he’s also passionate about connecting those artists with opportunities to share their work in public spaces across Atlanta, where everyone can share in the benefits art brings. For instance, WonderRoot artists have paired with MARTA to produce public art that enhances train and bus stations. Last June, a group created work was installed at the King Memorial station. In November, a series of murals depicting families from the neighborhood was erected at the Oakland City stop near West End. Other projects have been part of the BeltLine. In addition, WonderRoot takes teaching artists into schools and supports an alternative sentencing program through the Atlanta municipal court system. “Instead of facing jail time, people can participate in an arts and leadership development program we run that’s been around about a year and a half,” says Appleton. “We’ve had 35 people participate so far to learn arts related, marketable skills like photography, graphic arts, audio engineering and other technical skills that increase their employment opportunities. After six months, if they complete the program, the charges are removed from record. 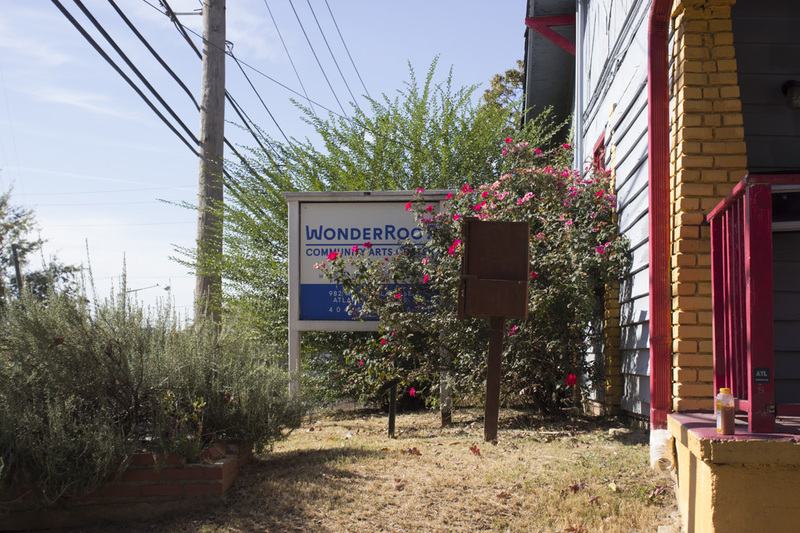 And they have to come back and mentor the next cohort.” After years of calling that rehabbed bungalow home, WonderRoot is gearing up to grow again. The organization is refurbishing a former school building across the street into a new, 54,000-square-foot center to accommodate more aspiring artists.